Here is a quick conceptual render showing the seating layout within the cabin. The new idea was to create an office or conference room feel within the vehicle. It has fold down tables and locked centre consoles/ side pockets for confidential documents. 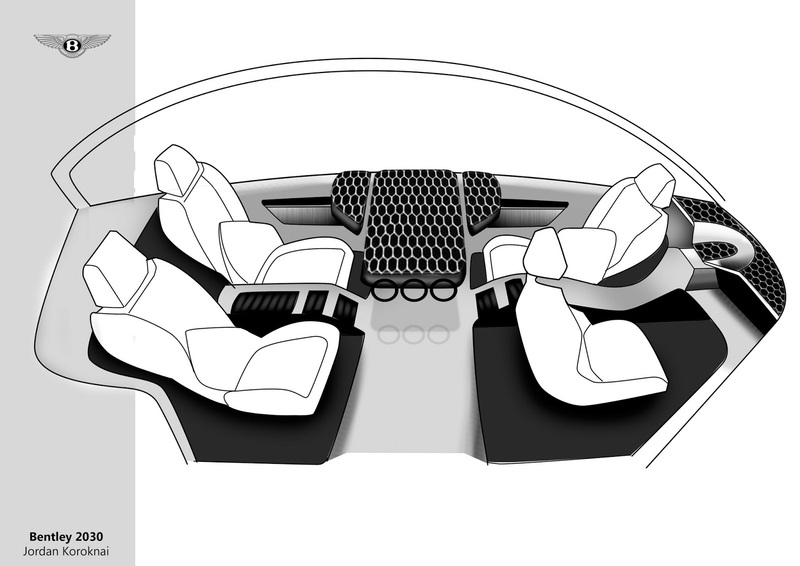 The rear seats would be for the clients and the front passenger seat facing towards them would be for the employer. Recycled plastics and non-slip materials would replace wood and leather.